When you dig a bit deeper Toyota Motor Company takes on a whole new personality, eschewing its 'cookie-cutter, boring-but-competent image', for a very racy identity. 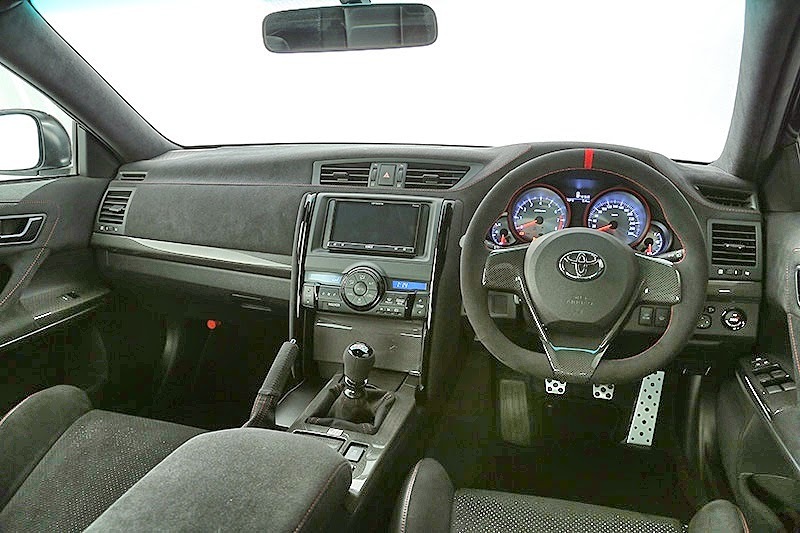 After all, this is the company which gives us the fabulous Toyota 86! 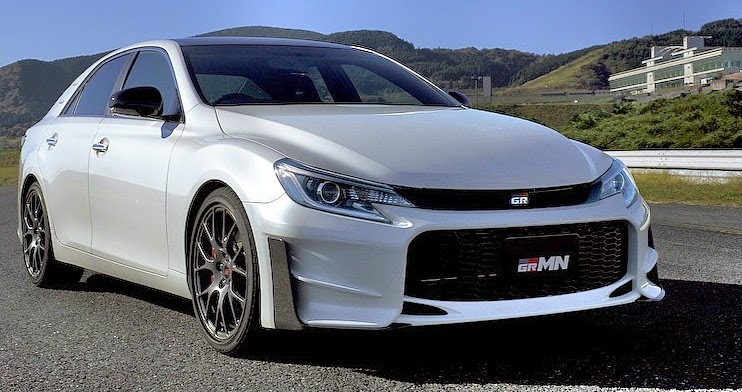 Introducing the Toyota GRMN Mark X, with personality plus. 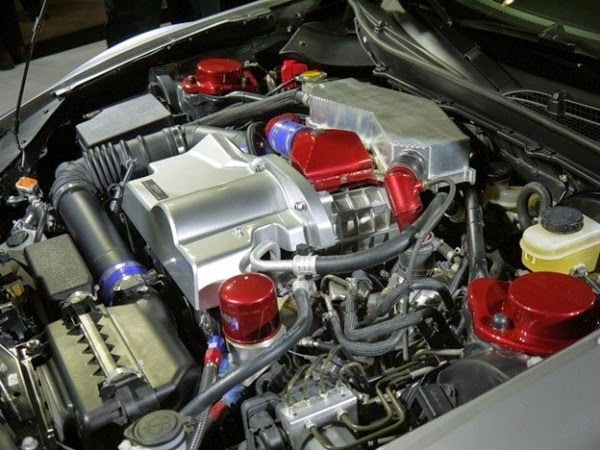 Powered by a 320hp version of Toyota's outstanding V6 engine that we see in the Aurion and the Avalon, plus a six-speed manual feeding power to a Thorsen differential on the rear axle, this car is a bullet! The car is intended solely for the Japanese domestic market, and only 100 cars will be built, with a pricetag around AUD$55,000. It's a stylish addition to the range, which celebrates two things (courtesy of the initials). Firstly, GR which stands for Gazoo Racing, the race and special tuning division run by Toyota's number one man, Akio Toyoda. The MN stands for Master of Nurburgring (in memory of Hiromu Naruse, Toyota's test driver who tragically died there in 2010 testing a Lexus LFA). The GRMN Mark Ex is absolutely 'fit for purpose' with its Brembo brakes, 2WD or 4WD, 19 inch alloys and open exhaust system. 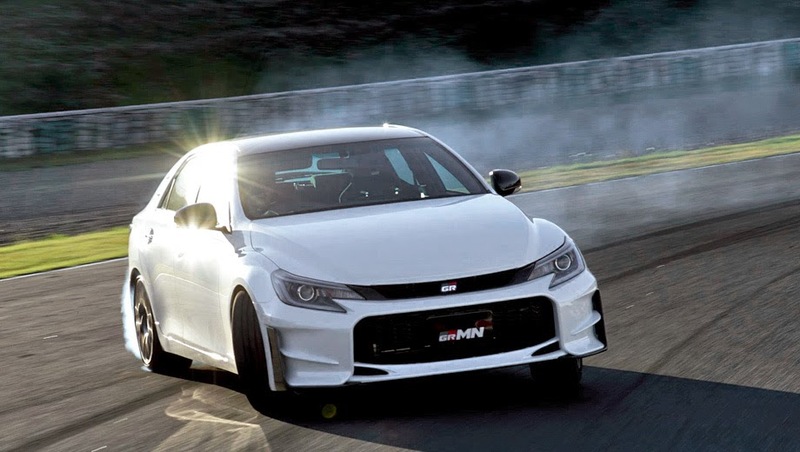 In size the current Mark X is a little bigger than a Camry, but traces its lineage as far back as the Toyota Cressida, which Toyota in Japan used as the basis for a limited edition GT car, with its strong and gutsy in-line six cylinder engine. The Mark X has been around for about 20 years, but the GRMN only debuted in 2004, and this firey version came on the scene at this years Tokyo Motor Show.